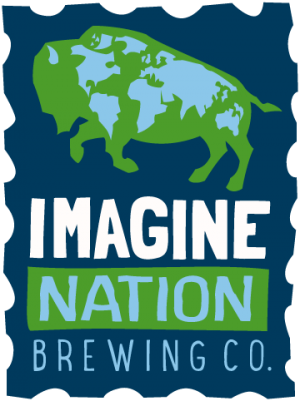 Imagine Nation Brewing Co. is the country's first combination of microbrewery and educational center. With live music five times a week, regular educational events on intriguing subjects, and one of Missoula's only patios on the Clark Fork River, the brewery always strives to go beyond beer. Weekly Calendar: Mondays: Open Mic: 6-8pm Tuesdays: Irish Traditional Music: 6-8pm Wednesdays: Open Bluegrass with Imagine Jam Society: 6-8pm Thursdays: Non-Profit Appreciation Day: 1/2 off first glass for nonprofit employees! Fridays: Teacher Recognition Day: 1/2 off first glass for teachers! Saturdays: Live Music Series w/ Different Local Artists: 6-8pm Sundays: Live Jazz with Monk's New Brew: 6-8pm If you are looking for a fun venue to host an organizational or personal gathering, contact the brewery to use the Center for Community Transformation to celebrate with craft beer while you do good things for the world.